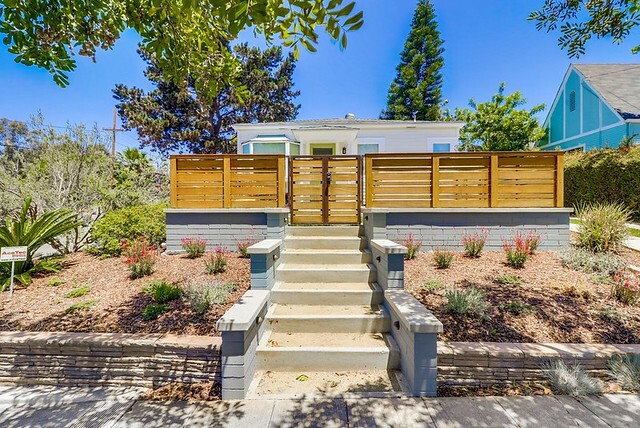 This adorable cottage is nestled on a serene street on the edge of North Park/South Park. Completely remodeled using the finest materials. High end stainless steel appliances, gorgeous cabinetry & fun countertops bring a fresh charm to a kitchen that was designed with maximum storage in mind. A clean, fresh look throughout compliments the amazing light in every room. Bathroom remodel spared no details. Original hardwood floors are in good condition. Lush landscaping for dining al fresco, zen-like backyard.